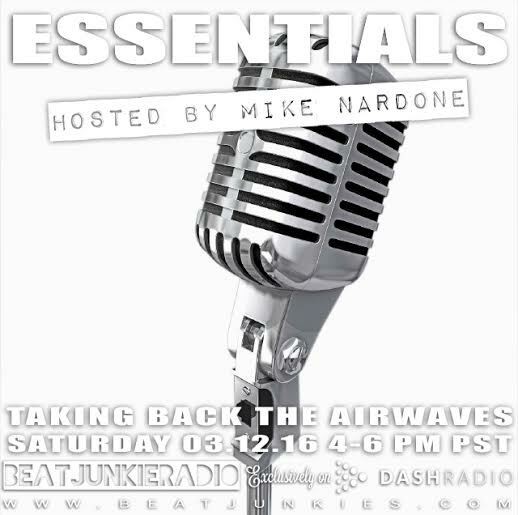 Today (March 26th), we will be rebroadcasting “Essentials With Mike Nardone” 1st Show on our Beat Junkie Radio channel on Dash Radio from 2-4pm PST. You can listen to the re-broadcast by downloading the FREE Dash Radio app from ITunes or Google Play or listen on the web: www.dashradio.com. Then search for “Beat Junkie Radio” & click! Mike Nardone‘s show will be airing live every 2nd Saturdays of each month from 4:30-6:30pm PST starting April 9th!